To analyze drinking water dataset, various statistical methods have been applied, including discriminant analysis, logistic regression and cluster analysis, to construct models for the identification of important input variables. Among them decision trees are more flexible than other statistical classification methods because it provides us a complete path or frame to reach a specific decision with simplicity and ease of understanding about critical variables. 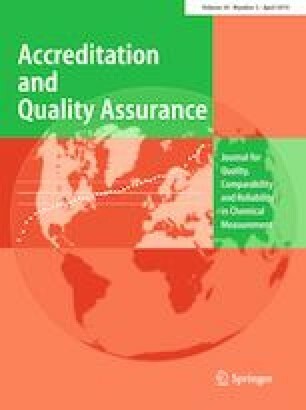 This article describes the application of classification decision trees for the analysis of drinking water quality affecting variables and includes discussion about these based on various methods as well as their comparison to reach the best approach for the further analysis about understudy area. In this study, samples of filtered water are taken from 100 pumps located in different union councils of the Lahore city. The classification trees are constructed on the basis of input quality variables, and the results are reported in the form of confusion matrix. Four techniques, including Chi-square Automatic Interaction Detector, Exhaustive Chi-square Automatic Interaction Detector, Classification and Regression Tree and Quick Unbiased Efficient Statistical Tree, were used. Three experiments were conducted to get performance evaluation of the models by the number of misclassified units. The first method used complete dataset, the second one is based on the cross-validation, while the last one is based on the random subsampling. The authors are deeply thankful to the editor and the reviewers for their valuable suggestions to improve the quality of this manuscript. This work was supported by the Deanship of Scientific Research (DSR), King Abdulaziz University, Jeddah. The author, Muhammad Aslam, therefore, acknowledges with thanks for DSR technical support.